Drug-resistant cases of a deadly new strain of bird flu have been identified. 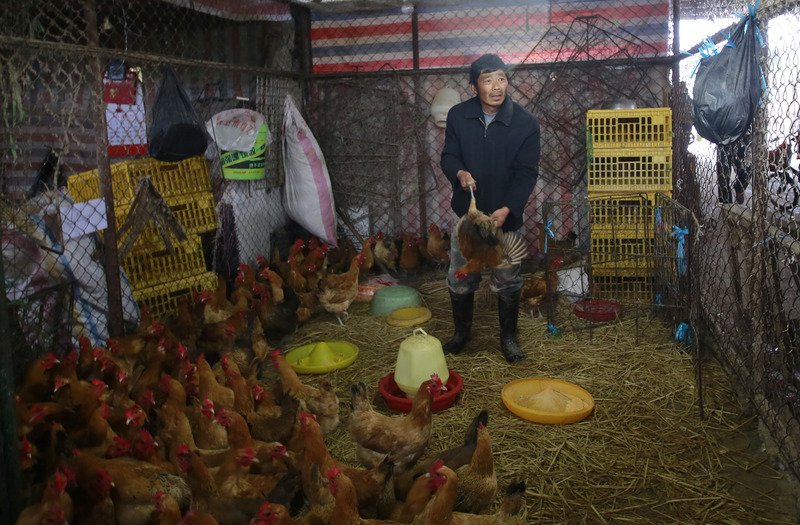 In a study published in The Lancet on May 28, researchers detailed three patients with the new avian flu strain that's hit China, known as H7N9, whose sickness could not be treated by Tamiflu (oseltamivir) and similar drugs. "The apparent ease with which antiviral resistance emerges in A/H7N9 viruses is concerning; it needs to be closely monitored and considered in future pandemic response plans," the authors wrote. H7N9 is the name for a subtype of influenza viruses that is often found in birds, according to the Centers for Disease Control and Prevention. However, a new H7N9 strain discovered in China looks different from previous strains. Prior to this China strain, H7N9 had never been detected in humans. The World Health Organization said 131 people have been infected with the new bird flu as of May 24, including 36 deaths. There is no solid evidence yet of human-to-human transmission, though there is concern the virus can mutate to a strain spread more easily among people. The researchers looked at 14 patients who were admitted to the Shanghai Public Health Clinical Centre with confirmed H7N9 infection in April 2013. Viral load (the amount of virus they had) and virus severity was determined by throat, blood, stools and urine samples throughout their illness and treatment. For most of the patients, antiviral drugs called neuraminidase inhibitors -- which include the drug Tamiflu -- were able to treat their condition and reduce the viral load. However, three patients were not aided by the medications, which are the only known treatment. Further genetic testing of the viruses from the three patients showed that the H7N9 virus had mutated and was resistant to the antiviral drugs. This mutation had been seen in one other H7N9 virus strain, but it was not linked to a patient case until now. In one patient, the drug-resistant mutation only occurred after the initial infection, possibly as a result of being treated with Tamiflu. The researchers also found evidence of viral RNA in all 14 samples. Viral RNA is not necessarily infectious and could have made its way into the digestive system after a person swallowed their own respiratory secretions, but they noted that more research should be done to see if the virus could spread beyond the respiratory system on its own. A spokeswoman for Roche, Tamiflu's maker, told Reuters that rates of drug resistance remained low globally, but the company took the issue of resistance "very seriously" and was working with health officials to monitor the situation.